Ann and I returned from Israel early this past week. 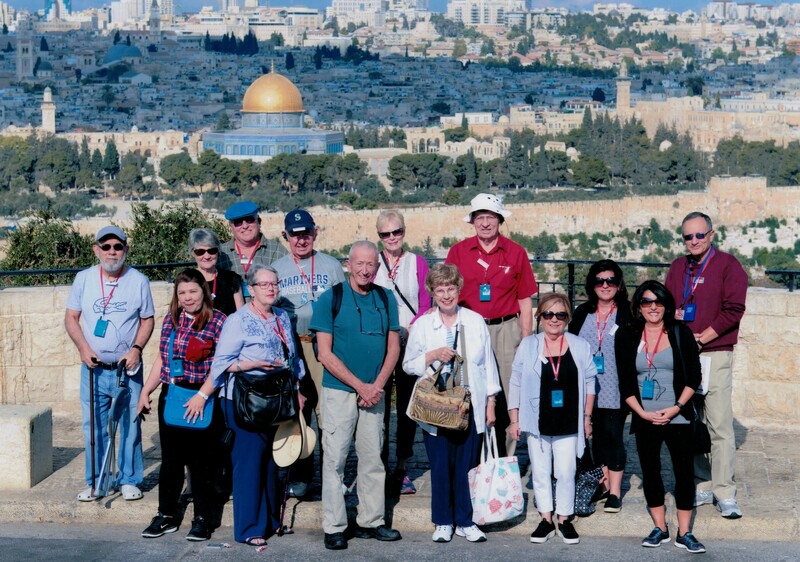 Took a 9 day bus tour of the Holy Land with, a total of 13 people. We visited the major sites in Jerusalem; Mount of Olives, the Old City, Via Dolorosa which is the path of Jesus on the Stations of the Crosse, Church of the Holy Sepulchre, the site of Jesus’ crucifixion and burial, site of the Resurrection, King David’s tomb, Western Wall or Wailing Wall, Masada, the where Jews made a last stand against the Roman Army, swam in the Dead Sea, site of the Dead Sea Scrolls, Nazareth, Bethlehem-the Church of the Nativity, Mary’s house and Church of the Annunciation, ancient port of Tiberius, Mount of Beatitudes, Sermon on the Mount, where John baptized Jesus, the first miracle at Cana, Haifa, Caesarea, Tel Aviv, and sites of the 1967 Six Day War and 1973 Yom Kippur War. We walked in the path of Saul, Paul. Isaac, and Abraham. We traveled with lots of very fine people. Learned about the culture, industry, education, transportation, and political situation in Israel.